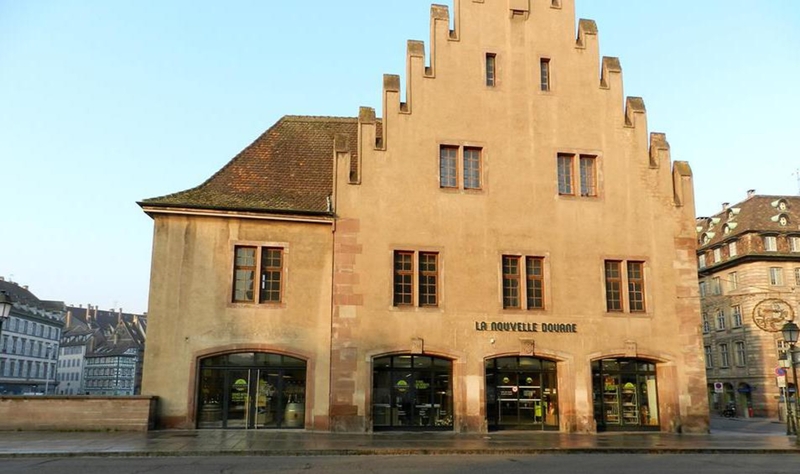 In autumn 2014, a new unmissable establishment opened to showcase Alsatian produce: la Nouvelle Douane (the New Customs House). Some twenty local producers with various specialties, using organic cultivation methods or with superoir quality produce, were selected by the Town Hall of Strasbourg to launch this market of regional produce. Result: top quality produce, sold at the same price as in large supermarkets, thanks to the cutting out of middlemen. Here you'll find seasonal fruits but also preserved produce, which is handy if you're seized with a mania for asparagus in August! Whether you're searching for a nice Cremant for your apéritif, foie gras, some tasty meat or honey, this is the one-stop shop...all while supporting local agriculture! From Tuesday to Thursday from 9 a.m. to 7 p.m.
Friday from 9 a.m. to 8 p.m.